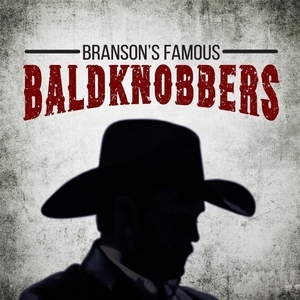 Branson’s first show, The Baldknobbers Jamboree, began the Branson family entertainment phenomenon in 1959 when the four Mabe brothers began entertaining visitors on the Branson lake front. Today, the Baldknobbers Jamboree Show family legacy spanning six decades and four generations continues to Wow audiences with a variety of country music favorites and hilarious comedy! Today’s Baldknobbers Jamboree Show is a musical powerhouse featuring a talented cast of dynamic singers, musicians, comedians and entertainers as they perform your favorite Country Classics, Hot New Country Hits, Toe Tappin’ Gospel and Lots Side-Spitting Comedy. The Mabe brothers adopted the name The Baldknobbers from an old Ozarks vigilante group that held their meetings on a treeless hilltop or “bald knob.” The Baldknobbers, Branson style entertainment became so popular that in 1963, they outgrew the old community building and opened Branson’s first theater by converting an old skating rink to accommodate 600 people nightly! And the Baldknobbers Jamboree Show tradition continues! Following the footsteps of their fathers and grandfathers, the Baldknobbers Jamboree Show features the talents of Tim Mabe, the show’s producer and a.k.a. comedian Droopy Drawers Jr. who is the son of Jim and Katie Mabe; Brent Mabe, band leader and son of Lyle Mabe; Tim’s wife Patty Mabe and their son Brandon Mabe and his son Broden Mabe; Denton and Garrett Mabe, son’s of the late Dennis Mabe and Joy Bilyeu-Steele granddaughter of the late Bill Mabe.